Paradise comes neatly packaged at Baan Mika, an impressive beachfront Koh Samui luxury villa located just minutes from the sizzling center of Chaweng. It is an intimate tropical retreat that offers guests tranquility, unrivaled value and convenience in a breathtaking setting. Surrounded by beauty on a secluded private beach, enjoy a range of high-class leisure facilities, rejuvenate with a stimulating massage or dine in style, complements of the talented in-villa Thai chef who caters to every taste and preference. Large lap pool (12 m x 4 m) flowing into a kids pool, ending in a large beachfront Jacuzzi. Full-time Thai chef will provide a refreshing culinary experience, using different cooking styles to create dishes based on the provided menu or on special requests. Want to feel the freedom in Baan Mika? "A large group of us stayed at Baan Mika over the christmas week 2014. A group of us came in the afternoon and the other late night...this is what i thought....As soon as i walked through the doors i felt at home, it felt so peaceful the staff were waiting with fresh towels and a welcome drink which was so nice. The staff showed us round etc the rooms were clean, contemporary and large. That even and throughout our stay the food was amazing at all times breakfast lunch and dinner the staff couldn't do anymore they were truly helpful , friendly but not intruding and amazing at all times. Th week was amazing we had lots of fun. An amazing place would love to visit again. Special thanks to Ae and Phi for making our stay wonderful." "We recently spent 10 days in Baan Mika with our family and a group of friends. It was probably the best vacation we ever had. The resort resides on a quiet private beach, but we spent most days in the pool- heaven for children (and adults). The amazing staff kept spoiling us with outstanding food and fruit smoothies along the pool, and provided the best tips for sightseeing and local attractions. The place has a built in surround sound system that created a unique atmosphere with perfectly picked playlists. we basically didn't leave the villa!" ""This place is too good to be true. The villa is probably one of the most impressive realestate available to hire. It's beautifully designed, Thai style but with a European touch. The rooms are huge with space for everything. "The beds are super high quality , you sleep at night like a baby. The swimming pool is big and designed smart. The villa is equipped with the latest audio video equipment. The Jewell of the crown is the food, Best food you ever had in Thailand. The young chef is an expert not only in Thai cooking, but also in verity of international dishes. The kids love everything she made. We couldn't have enough. We chooses all dishes for meal the day we entered . We never got to eat the same dish twice. The Chef goes to the market every morning and buys the products fresh, needed for the meals. You can hire a car if you need to move around the Island, but other then that , you have anything you need in the Villa. 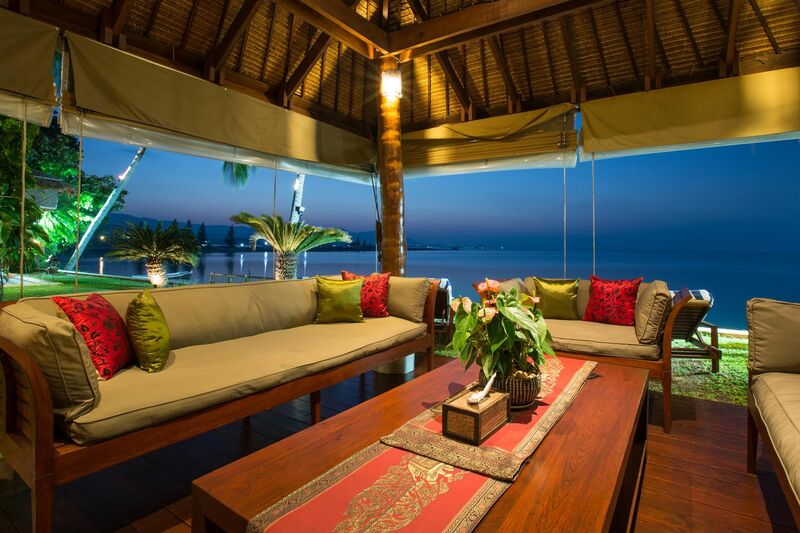 We had great time in baan Mika , and we recommend taking the place." "We stayed in baan Mika for 2 weeks in the middle of April. It will be hard to put into words the wonderful experience we had. First off the house- amazingly beautiful, clean, has all the amenities one would need and want. The staff couldn't be friendlier and more welcoming. There isn't a request that's too much. The food! Absolutely out of this world. The in-house staff, cooks breakfast lunch and dinner, and although the amount of food is almost too much- you simply can't stop eating since the food is just so good! Thai food in the highest quality, and any special requests we had for the children they did perfectly as well. The rooms are specious, clean, pampering and has everything you would possibly need. The pool is wonderful since it's very long so you can swim comfortably, and has also a smaller more shallow pull connected, which is perfect for kids. Overall I honestly can't wait to come back next wear! It is the most pampering, fun, relaxing, wonderful vacation we had." Rates are exclusive of 10% service, and 7% tax. Extra bed charge is $50 per person. Rates are inclusive of continental breakfast and in-villa chef service. Airport transfers are charged at $30 per trip for up to 7 guests, and subject to 7% tax. Minimum stay of 3 nights in standard season, 5 nights during peak and high season dates, except for Xmas/NY, minimum of 7 nights over Xmas or NY, or 10 nights over Xmas and NY. Check-in time is 15:00 and check-out time is 10:30, although early arrival and late departure up to 15:00 may be requested subject to availability. Fresh linen and towels as needed. No charge for baby cots. Where are we? Getting to BaanMika is only 10 min away from the airport.